Waleed has been beaten, deprived of sleep and moved from jail to jail. 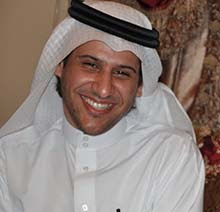 He is a peaceful man, a prisoner of conscience suffering purely for exercising his right to freedom of expression. He has stood up to tyranny to defend human rights. He has been imprisoned because of his work that helps others to live free. Sign Amnesty International’s petition to drop all charges against Waleed Abu al-Khair and free him from his unjust imprisonment. This entry was posted in Saudi Arabia and tagged online action, Waleed Abu al-Khair. Bookmark the permalink.